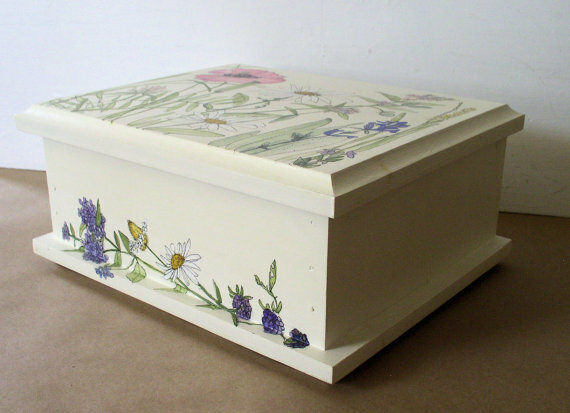 Painted nature box custom made keepsake painted furniture with botanical garden flowers herbs and woodland wildflowers. 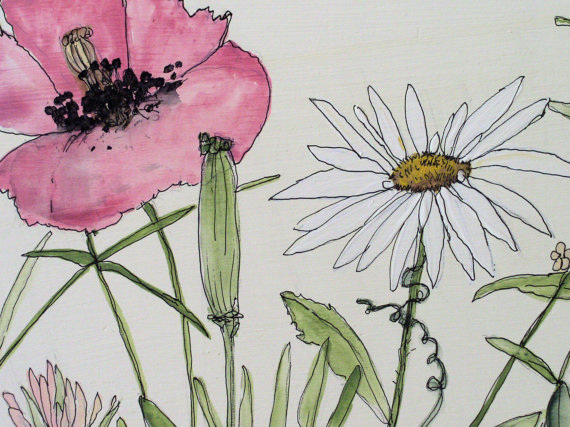 Available to buy at Painted Furniture Studio. 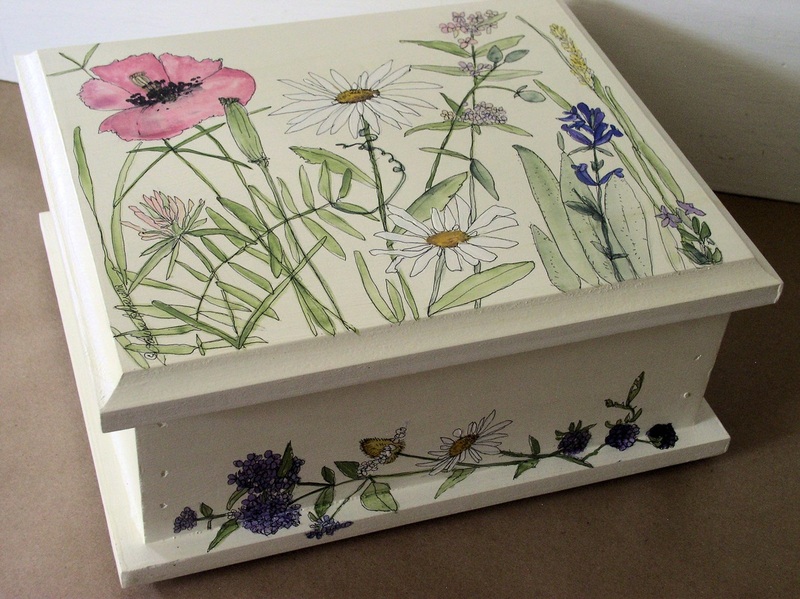 SOLD Painted nature box custom made keepsake painted furniture with botanical garden flowers herbs and woodland wildflowers. One of a kind hand crafted wooden keepsake nature box ready to use for storage of photos chargers and phones. Makes a beautiful gift for birthdays, weddings and new home owners. 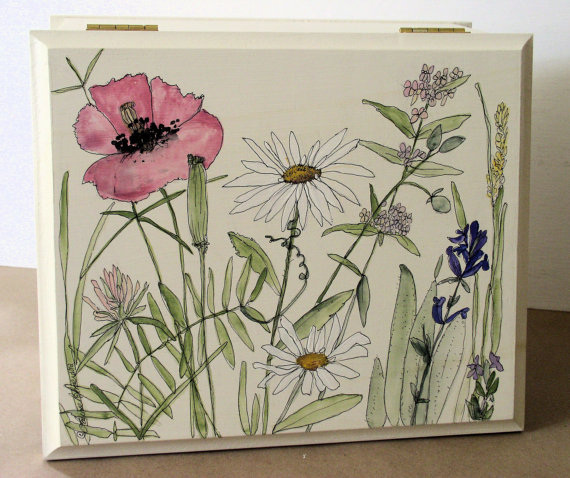 I painted the top with an assortment of botanical garden flowers mixed with herbs and wildflowers and on the front side are a few freshly picked flowers and blackberries painted giving a feeling they are spilling off the side. 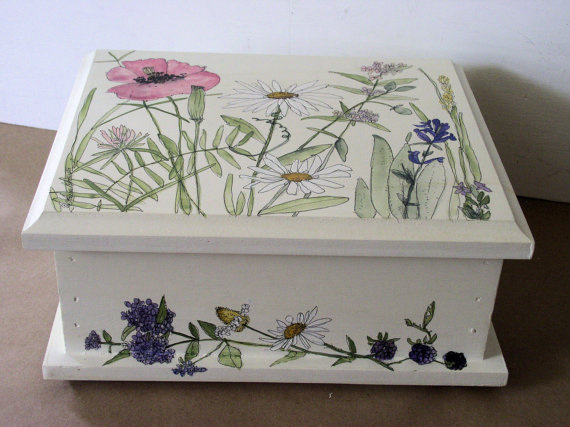 My boxes are sturdy custom made and hand painted. A beautiful one of a kind addition to upscale farmhouse cottage loft decor by adding a bit of whimsical decorative painting. Palette: Clear sky blue, raspberry pink, leaf green, deep blue, lavender, dark green, golden orange, pink, white, cream, yellow. Dimensions: 11" x 9.5" x 5"
I will refund any excessive overcharges.